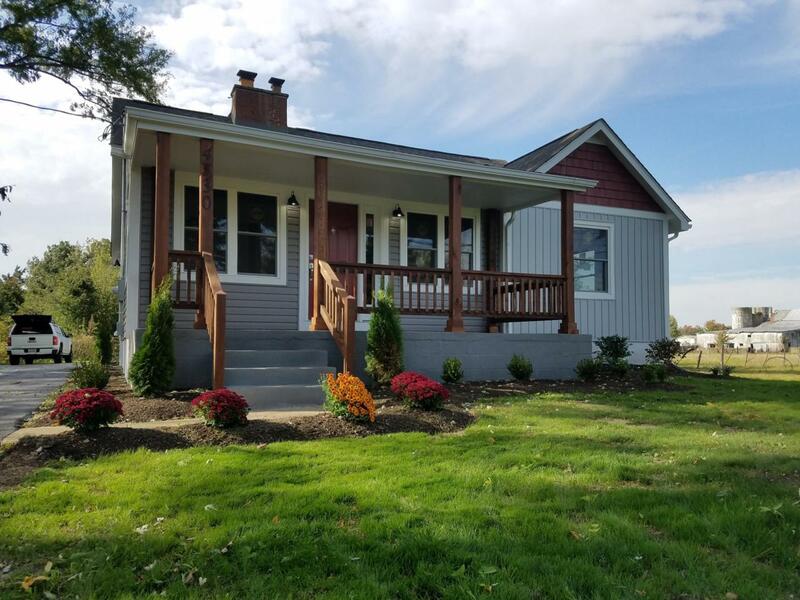 This beautifully renovated one of a kind 3bd/2ba Lewis Center home sits on .95 acres and is brand new inside and out. Tons of character and quality craftsmanship are found throughout making this a truly must see home. Words cannot describe what all is offered. The modern kitchen is equipped with new GE appliances, granite countertops, custom cabinetry and lighting. Custom poplar woodwork and built-ins are found throughout the home. Just a few of the new features include: roof, siding, insulation, front porch, back deck, Pella windows, exterior Pella doors, interior solid core doors, Hinkley light fixtures, HVAC system, basement waterproof system, plumbing, electrical, flooring, driveway and Pella garage door. Not only a 2-car garage, but also a 30-ft bonus shop. This home wont disappoint.